Join us for a one hour complimentary sleep seminar and learn the tips and strategies for parents and families who are in need of healthy sleep solutions. Join us for one hour's complimentary sleep seminar and learn the tips and strategies for parents and families who are in need of healthy sleep solutions. To register, email: alanna@weesleep.ca. Click here for more information about the Sleep Seminar. To register, email: natasha.douglas@wee-sleep.com Click here for more information about the Sleep Seminar. 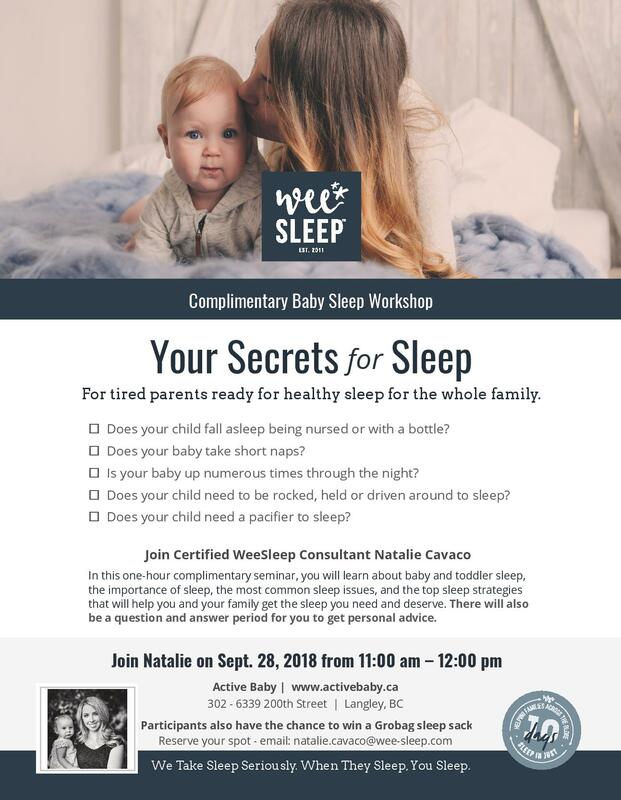 To register, email: natasha@weesleep.ca. Click here for more information about the Sleep Seminar.